Any time is an appropriate time to gift a watch lover with a tome containing well-written words and beautiful photos of watches. And we at Quill & Pad love reading books as much as we love making them (on occasion). Here is a good selection of books we have reviewed and we have written, suitable for gifting or reading at any time of year. This work of historical fiction takes place in Saxony of the mid-1800s, and one of the characters is none other than young Ferdinand Adolph Lange, who is apprenticed to Master Gutkaes in Dresden. A charming though gritty tale, it is sure to delight history buffs and WIS alike. For a full review, see Book Review: Ferdinand Adolph Lange Is A Character In The Novel ‘Signs Of The Times’ By Christoph Scheuring. 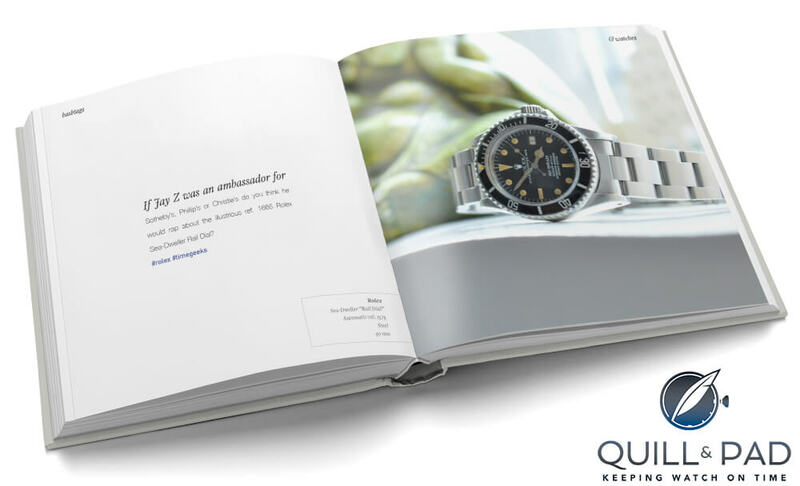 Photographer Ralf Baumgarten and I really enjoyed making this book about 12 independent watchmakers. The idea was to enter their spheres, share their concepts, and bring the reader into their unique worlds. It is not a technical book per se, but it does touch on some unusual technical subjects, which makes sense since we traveled quite far to get each of the stories. Ralf’s photography is nothing short of amazing, made even more atmospheric by the reduced color (though the photos look black and white, they aren’t). If you can still find a copy, count yourself and the one you are gifting lucky! Robert-Jan Broer of Fratello Watches wrote a nice review at www.fratellowatches.com. You may be able to still buy a copy from at www.amazon.com/Twelve-Faces-Time-Horological-Virtuosos. To this day, George Daniels remains one of the most interesting figures of modern horology. Journalist Michael Clerizo took it upon himself to spend what turned out to be the last months of Daniels’ life with him to write this extensive book. And it is a very fine and fitting tribute to this great watchmaker, one who can rightfully be said to be the first independent watchmaker in the world. For the full review, see Book Review: ‘George Daniels, A Master Watchmaker & His Art’ By Michael Clerizo. You can buy a copy from www.amazon.com/George-Daniels-Master-Watchmaker. If you are a regular reader of Quill & Pad, you probably know that Ryan Schmidt is a regular contributor, and that his posts are exquisitely unique. The Wristwatch Handbook is not much different in style to those posts: easy language, conversationally written, and interesting topics are what dominate. It is very obvious that he just loves watches, and this spark catches quickly. For the full review, see Book Review: ‘The Wristwatch Handbook’ By Ryan Schmidt. You can buy a copy from www.amazon.com/Wristwatch-Handbook-Comprehensive-Mechanical-Wristwatches. And, yes, one of Paul Newman’s own Rolex Daytonas shows up here as well (not the one that was auctioned) – along with personal stories and watches from well-known figures in the watch world, semi-famous New Yorkers, celebrities, and famous vintage watches. For the full review, see Book Review: ‘A Man and his Watch’ Features Personal Watch Stories And A Few WIS Surprises. You can buy a copy from www.amazon.com/Man-His-Watch-Watches-Stories. If there was ever a book perfect for gifting to anyone with even a mild interest in watchmaking, this is the one. It explains the anatomy of watches from A to Z, how they are put together, and what their components do. There is some history and some opinion and a lot of easy language. There aren’t many photos of watches, though, because this book stays as neutral as it gets. For the full review, see Book Review: ‘The Magic of Watches’ by Louis Nardin. For more information and to order, please visit www.themagicofwatches.com or www.watchprint.com. If you are looking for amazing photos of really cool watches and clever subtitles, you have come to the right place. Kristian Haagen is a Danish watch enthusiast who is also a collector, writer, author, lecturer, auction estimator, and daydreamer; he is also one of the more colorful writers in the world of watches. And he has compiled two years’ worth of his best Instagram photos and captions to make this hardback book. For the full review, see Book Review: ‘Hashtags and Watches’ by Kristian Haagen. You can order your own copy by sending Kristian an email at [email protected]. This book celebrating the 25th anniversary of the A.H.C.I. in 2010 takes a brief look at the history of the organization and profiles its 31 members as of that date. It remains an essential reference work for anyone interested in independent watchmaking. You can buy a copy from www.amazon.com/Hands-Time-Ian-Skellern. Another absolute labor of love, I wrote this book in tribute to one of the watch industry’s most enigmatic timepieces – one that was invented by an independent watchmaker in conjunction with one of the most creative watch manufacturers of the second half of the 21st century. A watch that is nothing less than a miracle spanning the gap between mechanics and art at a time when quartz was threatening to make mechanical watchmaking extinct. You can buy a copy from www.amazon.com/Bridging-Art-Mechanics-Unabridged-Corums. OMG such esteemed company – all excellent books! Thanks. This is an awesome article.